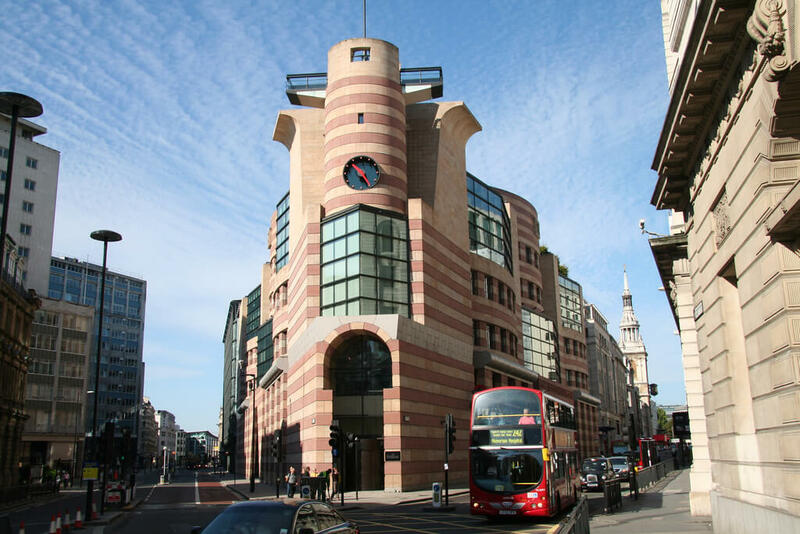 Some may say it is par for the course for postmodern architecture to be allied with gimmicks and today, it seems those who do have cause for delight: James Stirling's No.1 Poultry in London looks set for a mini golf complex on its ground floor. The endeavor is courtesy of Puttshack, a firm which claims to be the first "super tech" indoor mini golf experience provider. 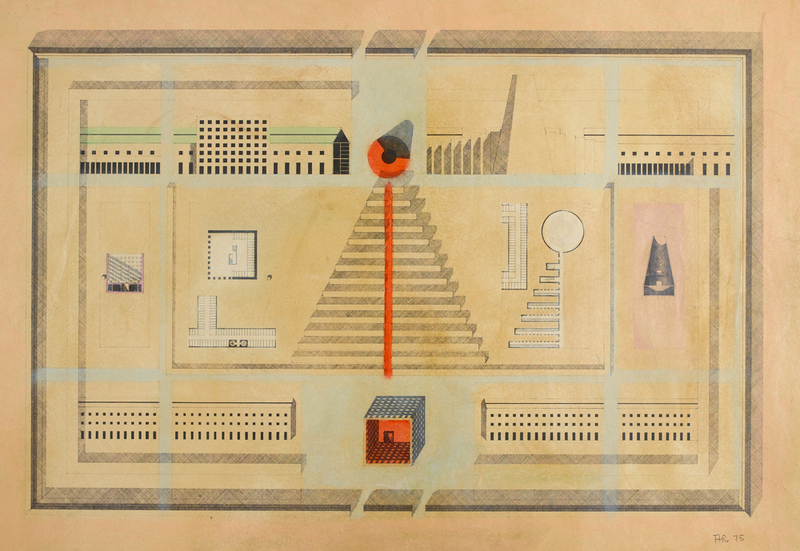 Plans for what the mini golf trials will be can only be seen in the sketches provided, however, Pomo putters can still dream of a course based on the site plan of Aldo Rossi's San Cataldo Cemetery (which would be amazing, let's be honest) or a homage to Michael Graves' Steigenberger Golf Resort in Egypt. Puttshack's complex appears to come with an island bar and tables for dining and will ultimately be an after-work venue for those in the city. As for the real clubbing going on, Puttshack ensures there will be no fowl play when going for a Poultry birdie—its ball tracking and scoring technology uses a mini-computer inside the golf ball to monitor and share video highlights from each round. 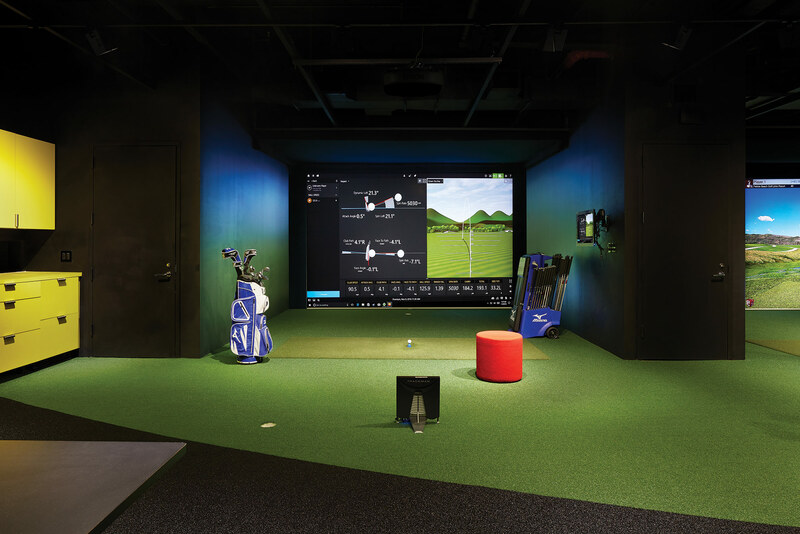 "I’ve always wanted to locate a social entertainment concept in the heart of the city, and there could not be a better location than the symbolic No 1 Poultry address," said Adam Breeden, founder and CEO of Bounce, one of the companies behind Puttshack in a press release. 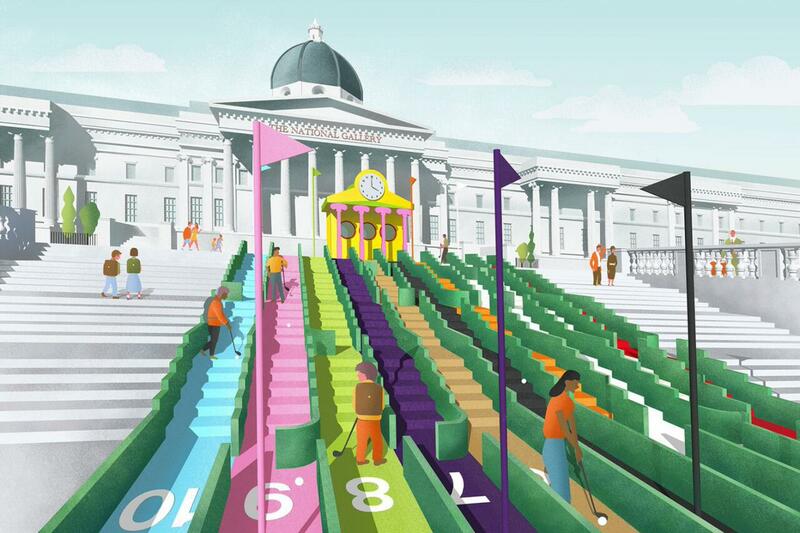 "The area has been up and coming for a long time now and with the introduction of Puttshack it finally establishes itself as a truly varied and vibrant London destination," he added. Built in 1998, Stirling's iconic work was the first postmodern building in the U.K. to be landmarked and, it was the country's youngest landmark, as well. Residing above Puttshack will be the new WeWork offices, which are slated for completion this March. Those renovations will also refurbish the building's famed staircase. Golf is historically epicentered at the Royal and Ancient Golf Club of St Andrews, Fife, Scotland, where the Old Course there dates back to the 15th century. When the sport crossed the pond in the 1700s, some early clubs were formed in New York and Charleston, South Carolina, but it developed more quickly in eastern Canada, where the Royal Montreal Golf Club, founded in 1873, is said to be the oldest surviving golf club in North America. By the 1880s, golf was becoming established by the establishment in the USA, especially at country clubs around New York City and Chicago. National trade associations and tournament organizations formed and set standards for courses and rules for the game. Chief among them is the United States Golf Association, whose membership today includes more than 10,000 of the 17,000 active courses in the country. What follows is a sampling of some of the more historic and otherwise notable golf courses in the USA. See an online map of the American Golfscape at www.clui.org. This course opened in 1991, on the shore of Idaho’s Lake Coeur d’Alene, and is unusual for having one of its greens, the 14th hole, on a floating island, entirely separated from the shore. To finish the hole, golfers get in a wooden boat that shuttles back and forth between a slotted dock on the shore, and on the island. There are a few other resorts on this scenic lake in Northern Idaho, including the Gozzer Ranch Golf and Lake Club, with a course designed by Tom Fazio. The Bandon Dunes Golf Resort is on the southern Oregon coast, a landscape similar to the Scottish coast, where the sport originated. The first course opened in 1999, but it was the second course, Pacific Dunes, designed by Tom Doak, which opened two years later, that really put this place on the golf map. There are now five courses at the resort, which is known for a rustic simplicity, compared to most golf resorts. Though remote, it is a modern classic links-type course destination resort for golfers. Some golf courses, especially municipal ones, are built on landfills or other unstable, undevelopable land. The Old Works course, in Anaconda, was built on the site of a copper smelter, the Upper Works plant, which processed ore from the mine at Butte, Montana. After a new smelter opened in town, this old one was idled, abandoned, and ultimately became a superfund waste site. In 1994, after years of planning, ground was broken on a Jack Nicklaus-designed course, themed around the old industrial site. The sand in the bunkers is black slag and old machinery is peppered about. This course opened in 1994 in the rolling sand hills of western Nebraska, a classic links style course, like the shores of Scotland, though landlocked in the middle of the country, and in the middle of “nowhere.” Sited in a bevy of natural grass and sand bunkers, this course was not so much built, as discovered, they say. The course was certainly built though, but at a cost much less than most. The greens here were formed on existing ground, costing just a few hundred dollars each to construct, instead of the elaborately engineered pads, with layers of specialty bedding and drainage, which typically cost around $40,000 to make. This course has become a destination for many golfers, and other courses in the region have been developed since, despite, and because of, its remoteness. This course, one of many in the office park suburbs west of Chicago, is notable for being the location where three golfers, including the champion Lee Trevino, were struck by lightning during a public tournament in 1975. Though they all lived, lighting remains a problem for golfers, as well as spectators. The course here is also notable as it surrounds a campus of the McDonalds restaurant company, including its training center known as Hamburger University. The corporate headquarters is across the highway. This country club’s southern course is one of the classics in the nation. It opened in 1918, and was redesigned in the late ‘40s by Robert Trent Jones. The club is north of Detroit, and was established by two Ford Motor Company executives. Michigan has more than a thousand golf courses, ranking third, after Florida and California. This is likely due to several factors, including the timing of the growth of the auto industry in the region with the rise in popularity of golf among the executive class. Known simply as The Country Club, this golf course in Boston’s early suburbs is a short streetcar ride from the financial district and downtown. Members of this golf club were influential in establishing the United States Golf Association. The course here started forming in 1893, the same year Frederick Law Olmstead moved his landscape architecture firm into an old farmstead, a few meandering blocks away. Though his influence on golf course architecture is tremendous, he is not known for designing any courses himself. Legendary golfer Jack Nicklaus became an even more legendary golf course designer, developer, and brander. 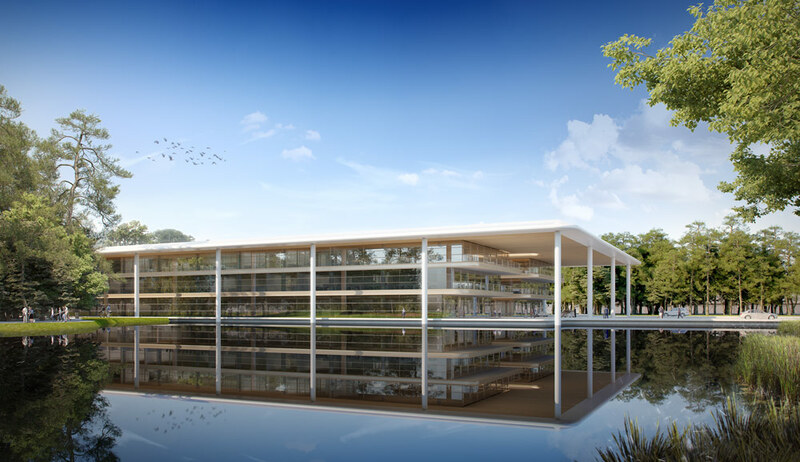 Though he is often, but not always, directly involved in the design, his firm has produced hundreds of courses all over the world, and more than 200 in the USA. Most are part of private housing developments, like this one, north of Columbus, Ohio, Nicklaus’s hometown. He was the original developer of this property, and has worked and reworked this course many times since opening it in 1974. This is generally considered to be the first public golf course in the USA, opening in 1895, in the North Bronx, near Yonkers. You can still take the Number One train from Times Square and play 18 holes for around $35. This is a links-type course designed by C.B MacDonald in 1911, following the early Scottish courses built more simply on sandy bluffs. Compared to more standard courses, this style is a bit more uneven, rustic, and open, generally without trees, and built near the shore. This club is next to the Sebonak Golf Club, and the Shinnecock Hills Golf Club, another links course, and is one of more than a dozen private golf clubs in the Hamptons. One of the best loved and toughest courses in the country, Pine Valley was laid out in 1918, and catered to the city of Philadelphia. Early golf courses tended to be constructed where there was sand, such as coastal bluffs, evoking its origins in Scotland, or in this case, in the Pine Barrens of New Jersey. Golf Magazine has called it the best golf course in the world on several recent annual rankings. The course at Oakmont, in a suburb east of Pittsburgh, was built in 1903, and is considered a classic in “penal” design, where the course’s 200 bunkers (sand traps) are hard to miss. The Pennsylvania Turnpike also divides the course in half, though no holes span the highway, and high walls keep most stray balls from leaving the course. Two golf cart bridges over the turnpike connect holes two through eight with the rest of the course. Golf courses are typically part of country clubs, municipal parks, housing developments, or resorts. The legendary Greenbrier Hotel in West Virginia is one of the progenitors of resort-style golf, where people come and stay, and play. There are five courses now around the Greenbrier, including Oakhurst Links, which opened in 1892, one of the oldest in the land. 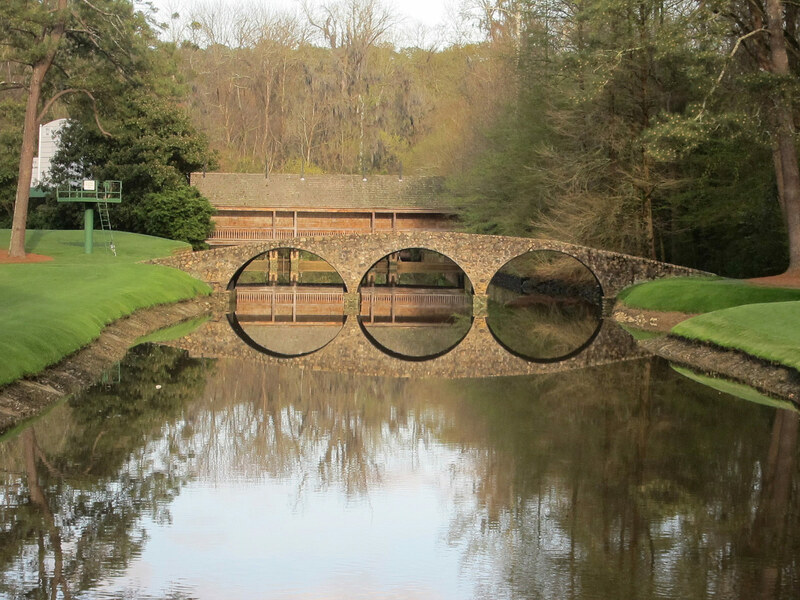 It is being integrated into a new housing development owned by the Greenbrier, with a new course designed by three golf legends, Jack Nicklaus, Lee Trevino, and Arnold Palmer. The hotel is also famous for its secret continuity of government bunker, outed in the 1990s, as the place for members of Congress to head to in the event of a nuclear attack on Washington, from which they might emerge presumably, eventually, and play golf. Considered one of the country’s most exclusive golf clubs, the course at Seminole is on the beach, and was designed by Donald Ross in 1929, but has been severely altered by others since then. Florida has around 1,500 golf courses, more than any other state. The home of the annual Masters Tournament, one of the most important events in the sport, this course is considered by some to be the best in the world. Originally constructed in 1933 by Alister MacKenzie and Bobby Jones, the landscaping and features have been tweaked many times since by designers such as Perry Maxwell, Trent Jones, Jack Nicklaus and Tom Fazio. Despite its stature in the sport, and with a membership that includes business leaders such as Warren Buffett, Bill Gates, and Jack Welch, the club did not have any African American members until 1990, and no women until 2012, when former Secretary of State Condoleezza Rice became a member. Pinehurst is an old health resort with eight golf courses around it now, including some of the most innovative and highly praised ones. The resort was developed in 1895 by James Walker Tufts of Boston, who hired Frederick Law Olmstead’s firm to lay out the village. The first golf course was built in 1898, but it was the second one, which opened in 1907, that is hailed as one of the finest. It was designed by the Scottish course architect Donald Ross, who was the resident golf pro at Pinehurst, and whose firm designed around 400 courses in the USA in the first half of the 20th century. Pinehurst was also the location of the first miniature golf course in the country, which opened in 1916. Most of the 420 golf courses in Arizona are private clubs, embedded in desert housing developments in cities in the Phoenix metro region, not unlike this one. Built in 1984, and designed by Jack Nicklaus, Desert Highlands is an example of a target golf-type course, which uses less land and landscaping, thus saving on water and groundskeeping outlays. This course meanders through the housing development with only 80 acres of irrigated landscaping, versus the usual 120 acres or more. The PGA West facility in La Quinta is a stadium course, like the PGA’s Tournament Players Course at Sawgrass, near Jacksonville, Florida. Courses of this type are built to host tournaments, and have stands and contoured slopes on the edge of the course to accommodate more spectators than other types of courses. 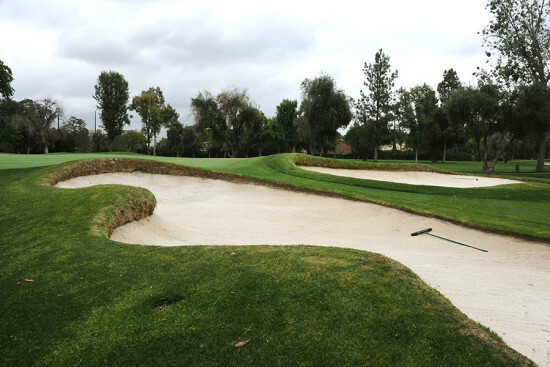 This is also considered a very difficult course, which limited its tournament use, initially. It is one of a few courses at the La Quinta Resort, an old desert hotel and hacienda getaway that opened in 1926. It is located in the Coachella Valley, a resort belt that extends from Palm Springs to La Quinta, and exceeds even Las Vegas and Phoenix for the most golf-intensive desert landscape in the country, with around 120 golf courses, all within one of the hottest and driest places on the continent. One of the greatest public, municipal courses in the country, Torrey Pines is built on a pine tree studded bluff above the Pacific, in La Jolla, north of San Diego. It opened in 1957 and has two 18 hole courses. There are steep cliffs along its western edge, and behind it some of the most specialized high-tech and biological research facilities in the country, including the Salk Institute, Scripps, and General Atomics. This course in the northern Las Vegas desert was built by the resort magnate Steve Wynn, and designed by Tom Fazio, one of the contemporary leaders in golf course design. Earth was bermed up around the 350-acre site to hide it from view, and a landscape of ponds, waterfalls, fountains, and gardens, including more than 20,000 trees, was created from bare desert ground, costing a reported $60 million to construct. It opened in 1990, and was very exclusive. Two large private homes were also built into the site, surrounded by the course, including one that was owned by Steve Wynn himself. The development has since changed hands and is now owned by MGM. There are close to 100 golf courses now in the Las Vegas region. This may be one of the best golf courses in the country for scenic beauty and adventure, with nine of its holes on rocky bluffs on the ocean. Also notable because unlike most of the exotic courses in the country, it is not a private club, but is open to the public, albeit at a cost–around $500 for a round. It is not a municipal course, but owned by a private company, the Pebble Beach Company, which owns three other courses on the peninsula (the Links at Spanish Bay, Spyglass Hill, and Del Monte), and three hotels too. Five U.S. Opens have been played here. Note: This was adapted from the Winter 2016 Center For Land Use Interpretation Newsletter. The project meanwhile states that: "It is one of the few opportunities to use this prime location for cultural activity, and we are confident that there will be enough people who share Paul Smith and the London Design Festival's enthusiasm to enable its success."